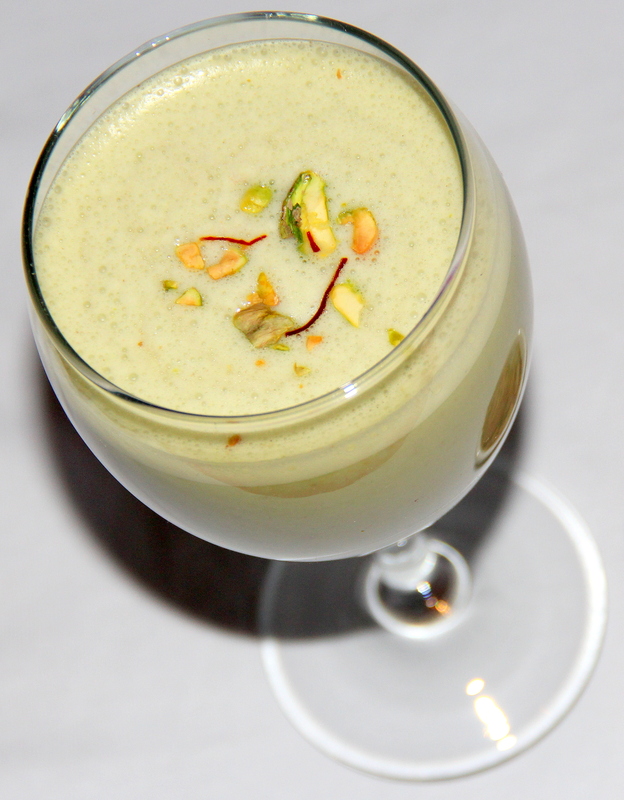 Pistachio milkshake is made with raw pistachio, almond milk and cardamom; mace is used as a flavouring agent. Mace is one of the natural boons. While nutmeg is actual seed of the tree, mace is dried reddish covering of the seed known for its several culinary and medicinal uses. Mace is a prominent flavouring agent in cuisines of most countries. Mace can be used in several forms, either as the directed lacy covering or in powdered form. Mace is very handy for digestion and easing stomach aches and gas from stomach and intestine. It is beneficial for preventing indigestion, flatulence, vomiting and diarrhoea. Flavours can be personalised by adding nutmeg/vanilla as per the preference. Combine pistachio, mace/javitri, cardamom seeds and grind to the fine powder. Refrigerate the pistachio milk for 2-3hours and once cooled transfer it to the milk shaker shake it / just whizz it in the blender until frothy and serve with chopped pistachio. Can replace almond milk with regular milk. Posted on July 15, 2014, in Breakfast, Breakfast, Indian, International, Juices/Beverages, Vegan and tagged Chitras healthy kitchen, drchdiet food, Javitri health benefits, Mace health benefits, Vegan milkshake recipes. Bookmark the permalink. 49 Comments. This actually sounds like it would be a wonderful breakfast. It sounds delicious and healthful. Oh, that sounds perfect for today — it’s blazing hot. That spice profile sounds refreshing. Looks delicious, will give it a try since I love pistachios! I must try this for iftar today! Looks soo good. Thanks for sharing. 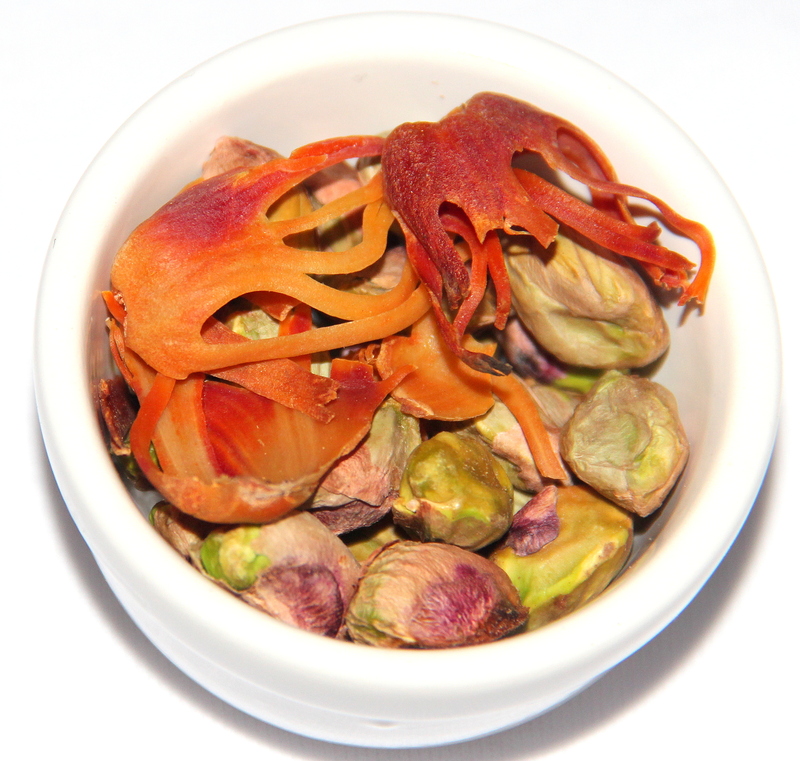 Would love to try your recipe, I love pistachios. Thank you for stopping by, your blog looks so delicious 🙂 . Thanks Annie. I was trying to leave a comment on your post to convey my thanks to yourself and co/hosts but I am getting an error..tried couple of times. Hmmm, that’s troubling. I’ll take a look. Thanks for letting me know! I can’t find anything wrong, but we did have a brief power outage and I had to reboot to be able to get back into my site. If you still have problems leaving a comment, let me know! Thanks :-)! Phew! Funny thing is, today I’m unable to add a recipe to the Potluck for some reason – – technology!! I love pistachio…adding mace to the combination sounds really good. Also, thanks for stopping by my blog and liking my posts. I am so glad I stumbled upon your blog, I think everything you make looks unbelievably good!